New Pieces To Add To The Collections! Today is very exciting for us! We are unveiling some of our new ceramic pieces that we plan on selling extremely soon! Check out the photo below and let us know which piece(s) you're most excited for! 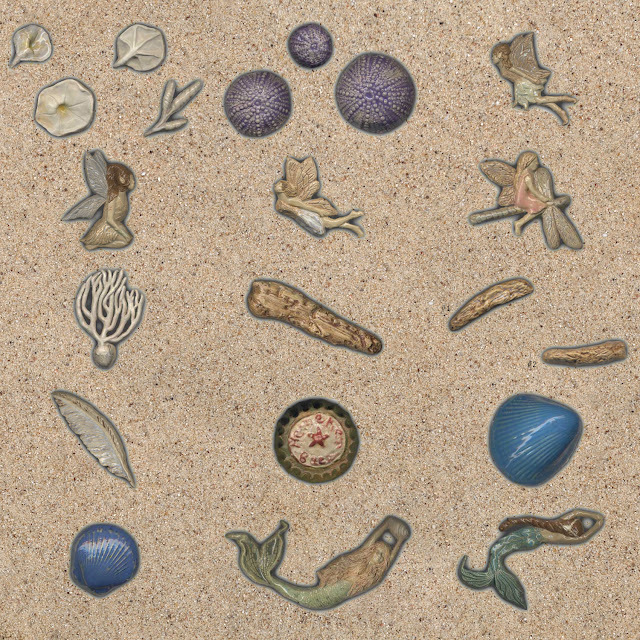 Flowers, sea biscuits, fairies, coral, driftwood, feathers, bottle caps, shells, and mermaids! These will be for sale soon and can be glazed with any of the glazes we offer! To view our glaze colors, visit our website and navigate to either the "colors palette" or the "neutrals palette" down near the bottom of the page!